I actually intended on doing a cost round-up of each room as we finish it, however we're yet to fully complete a room (although the bathroom is ridiculously close!) 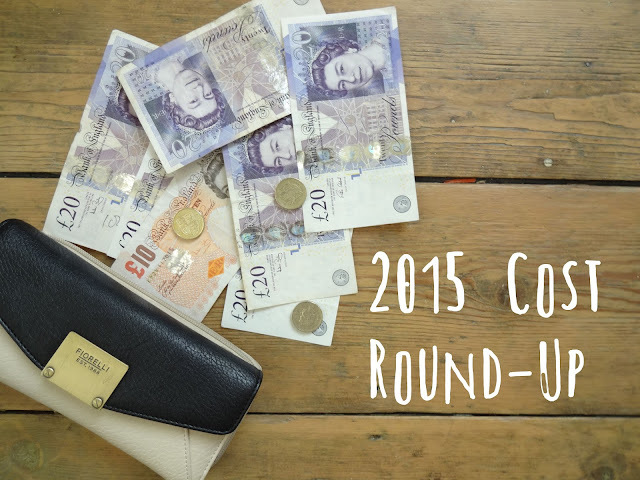 so I thought it might be a good idea to do a yearly cost-round up as well and what better time than the very end of 2015? You can read about everything we've achieved over the last year in our home renovations in my last post here. But this one's all about costs! I know most people would prefer to keep costs (and earnings!) private, but I think it's the most important part of a renovation. It's easy to see a room transformation or stunning designs on Pinterest and think "we could/should do that!" but with little/no knowledge about how much an entire project would cost, it's difficult to turn that into a reality. One of the biggest things that put people of renovation/DIY is the unknown costs. How much does it cost to renovate a bathroom? To fit a new consumer unit? These things aren't easy to answer and short of getting a bazillion quotes, it can still be difficult to see the bigger picture. So, I'm not trying to 'show off' about our spending in any way, just share our experiences on how much a DIY-renovation project can cost you. Note the term: DIY-renovation. 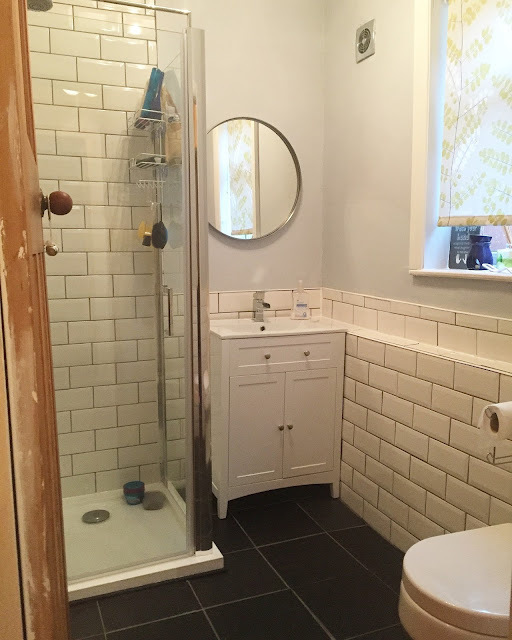 We've certainly spent a fair amount over the past twelve months - we've renovated the bathroom which needless to say wasn't the cheapest of renovations and we definitely weren't too stringent on cheaper fixtures and fittings. However, throughout this renovation year we have done around 99% of the work ourselves which has saved us a TON. Literally. Hence the 'DIY-renovation' terminology I'm using! Includes things such as Plasterboard, Stud Timber, Pipes, Pipe Fittings, Paint, Skirting board, etc. 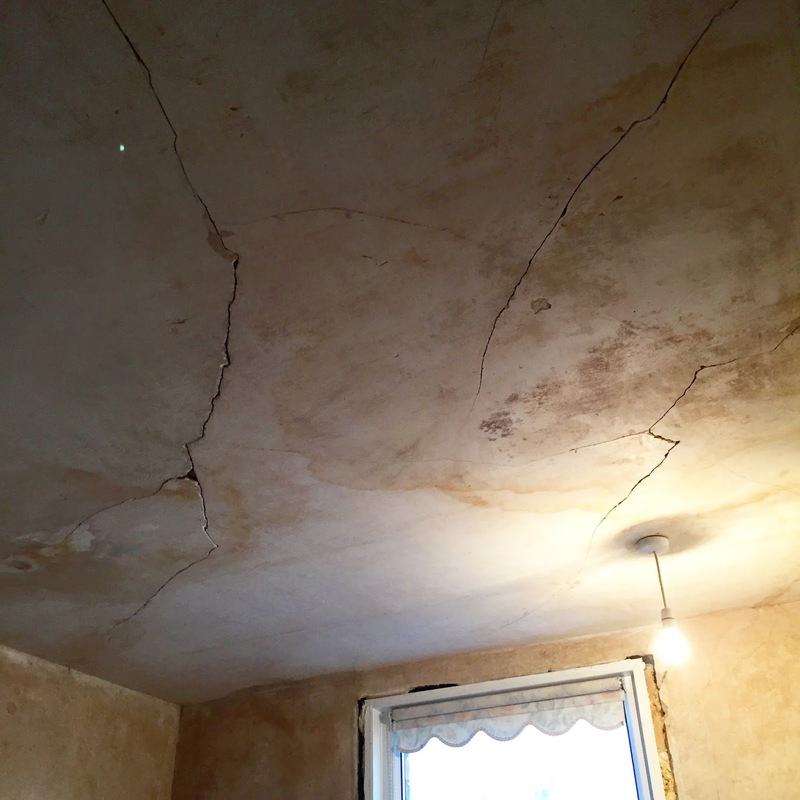 Includes 3 separate tradesmen from electrical work and asbestos removal. Includes items such as bath tub, shower enclosure, electric shower unit, taps, fireplace, etc. Includes Plants, Seeds, Decking, Pallet Wood, Lighting etc. Not too bad right?! That's around £250 a month which is what we budget monthly for our renovations straight from the pay packet. It's slightly crazy to see how much we spent on three tradesmen (two which took less than an hour!) in comparison to materials. Really goes to show just how much more hiring someone to do the job costs!! Wowzer. Includes Lawnmower, DIY Vac, Saws, Trowels, Mitre Box etc. I'm quite surprised by the low cost of DIY tools. I feel like we've bought LOADS, but I guess most of them cost less £10 each so we've done pretty well here! 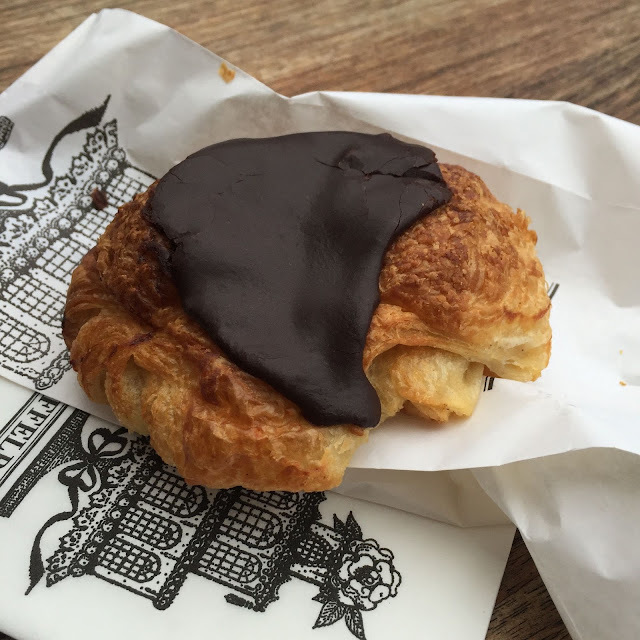 Most expensive purchases of 2015? £568 on our new sofa. Our old sofa cost a low £40 so this was a massive new luxury! Most Discounted/Bargain Purchase of 2015? £10 High Quality Standpipes from a private seller on eBay (retails at £150 via Victoria Plumb)!! £169 on a new bed AND mattress. What a friggen bargain that was! To add up everything above, we've spent a hefty £4076 over the last fifteen or so months on all things home/renovation related. I have no doubt we will be spending just as much over the next 12 months too. Argh, there's just never enough money!! Do you track your spending during your renovations? 2015, what a long year you've been - but still, not nearly long enough! I hope you all had a wonderful Christmas! With the festivities out the way, we're now looking forward to a new year - January marks our 18th month living in this old victorian renovation-project home and I'm so pleased that we have finally made serious head-way in the renovations. We've even finished an entire room! ...kind-of. As we're beginning to plan what we want to achieve over the next year, I find it motivating to look back at the past year and all that we've achieved too. So, what have we achieved over the last twelve months? In January 2015 our bathroom was looking like this. It was unused, grotty and depressing awaiting a serious renovation makeover! What an awesome transformation that I seriously couldn't be more chuffed about! We've plumbed, plastered, tiled, sanded and painted - to just name a few! And it was so so worth it. It was a long process, but I literally don't think I could be without this bathroom now. 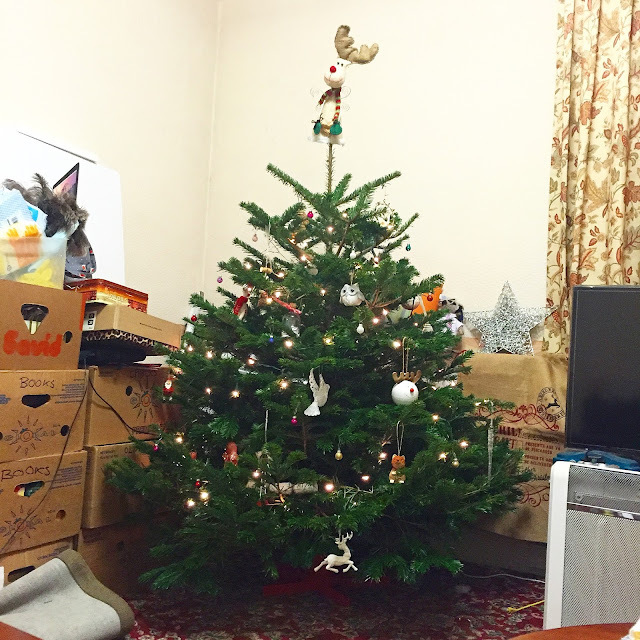 I'm so glad we made this our top priority in the house, splashed the cash and actually got the room completed this year. It's the only finished/nice room in the house and it's really given us the motivation to get on with the rest of the house! Now, it looks like this. 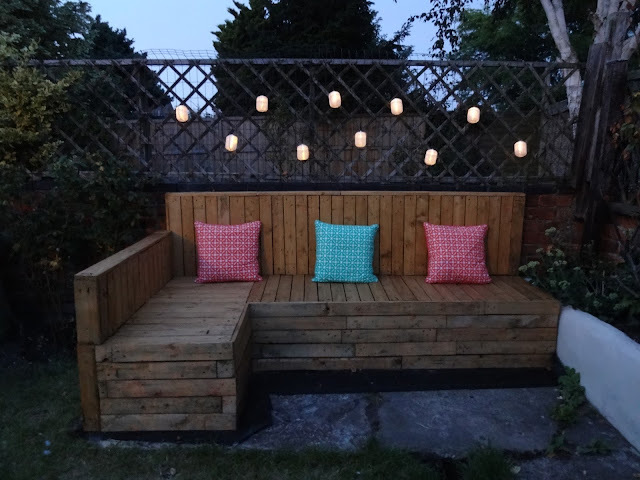 We've fitted an outdoor pallet sofa, which I freaking LOVEEE! We've also fitted a raised decking planter bed against the right wall to add some much needed privacy between our garden and the road. The climbers have certainly made a huge difference and oh-my how fast they've grown! 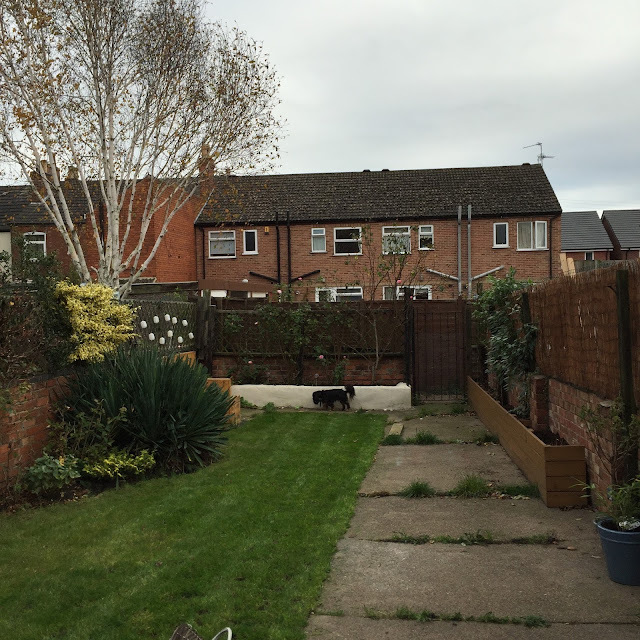 We've also rendered the brick border at the back of the garden which has made it look so much more modern and finished and we've even had the asbestos shed taken away too. There's still much left to complete out here, but we've certainly made huge progress this year! Just a few months ago this room was totally empty, with peeling wallpaper, floral carpets and it was a room that had no purpose or love. Only a couple of months on, this room is already taking transformation! Actually, it no longer looks like this. But I thought I'd save the finished (or semi-finished) results for a proper post! ;) We do still have a little left to achieve, but what this room needs most is filling with stuff. It needs a bed, a desk, shelves and pictures. It will soon be a lovely little room that will get heaps of usage as a office-come-guest bedroom. I cannot wait! We had just five days to completely renovate a bathroom for Grants parents and it was beyond hectic and stressful. It wasn't exactly the 'makeover' I used in the title, no, this was a complete rip-it-all-out and start again job. I'm pleased to see the back of this project. I think I'll be sticking to our own renovations from now! ...Famous last words. Let's see what 2016 brings! What have you achieved this year in your home? 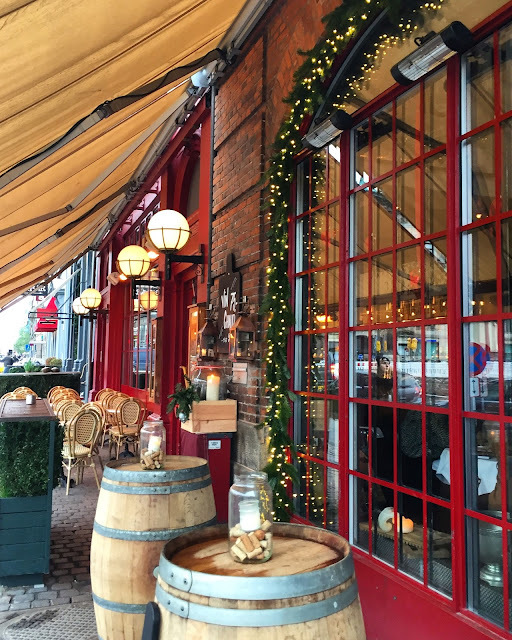 As we spend most our time either working or renovating, a few months ago we decided to make more time to travel. Not only do I love to travel anyway, but it's also a great way to actually take a break from the work. 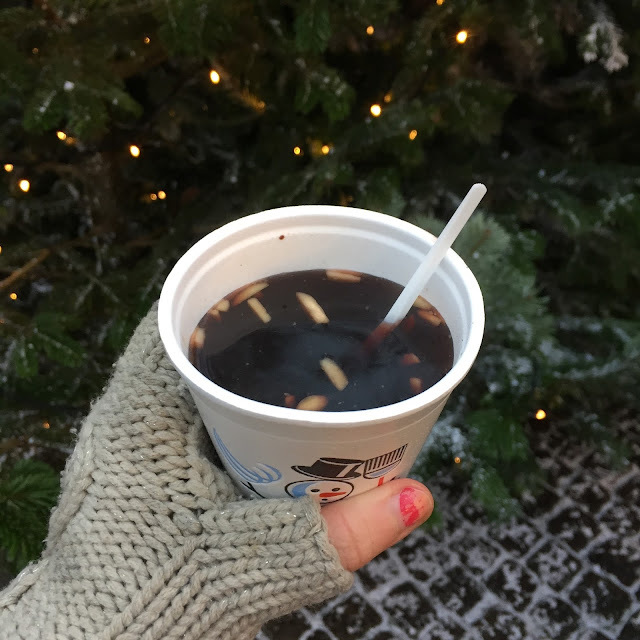 I love Christmas markets and after having visited the one in Nottingham for oh, only ten years in a row, I was determined to go somewhere new this year. Somewhere abroad. Obviously Germany was my top choice, but money rules here and flights to Germany weren't cheap. 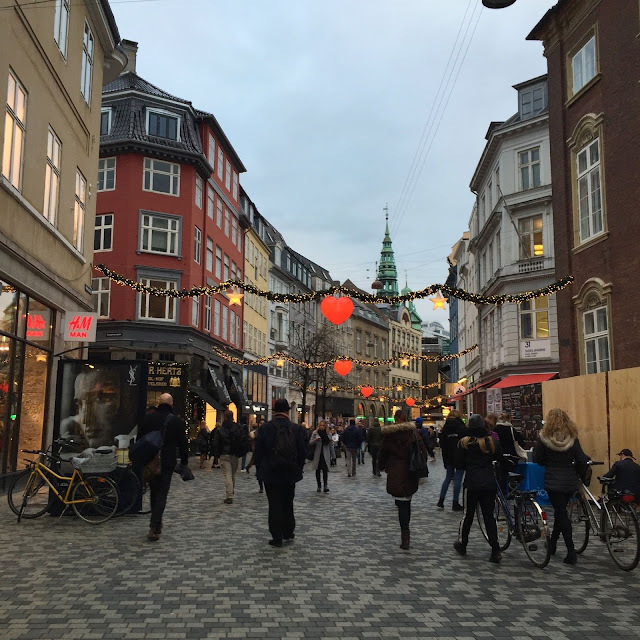 Copenhagen was cheap! Plus, it's only an hour away (AN HOUR!) with quick links to the city from the airport and several flights throughout the day. It was the perfect day-trip getaway material. We spent just £40 on flights for the both of us; that's just £10 a ticket each way, can you get more bargain than that?! 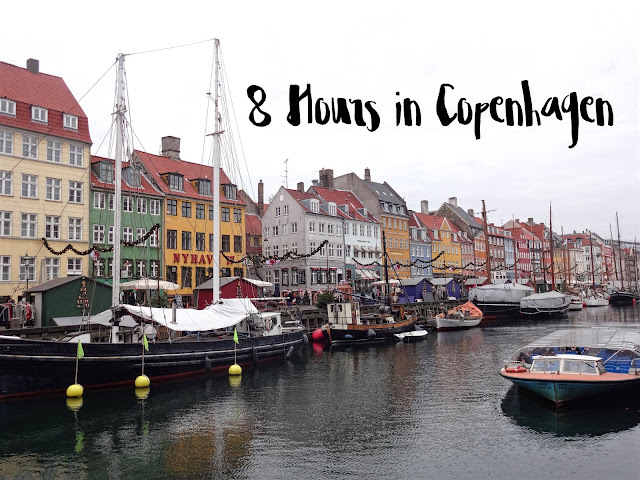 We arrived in Copenhagen city centre around 11.30am and of course, our first port-of-call was Nyhavn, which hosts the most iconic imagery of Copenhagen - colourful buildings and a waterfront canal. It's stunning! I knew I needed a photo of this whilst the sun was still up and I'm so glad we went here first as my nighttime images just did not do it justice! 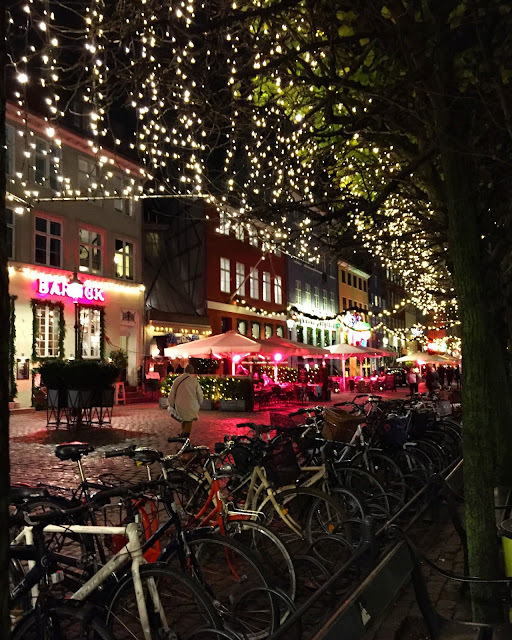 This area also had the most stunning restaurant fronts and despite Denmark generally being a colder climate than the UK, there was the most lovely outdoor seating areas, complete with patio heaters and blankets draped over every chair for you to wrap up in! It was super cute and cosy and I think we desperately need this kind of lifestyle in the UK! This is the oldest observatory tower in Europe. It has the most beautiful spiralling sloped floor that circles to the top (which stupidly I didn't photograph, dammit!). Despite the tower only being around 30m tall, you actually walk something around 200m due to the spiral, crazy! Upon reaching the top, there's a glass floor through the centre of the building allowing you to see the 30m down drop. Maybe not great for someone with vertigo, but totally cool otherwise!! And of course, there are the fabulous views over Copenhagen, for just 25DKK per person (£2.50) this definitely shouldn't be missed! We only had a quick walk around the Castle and Gardens, but from what we did see, twas beautiful. I love massive open spaces inside cities and this one did not disappoint. We didn't go inside the castle as it was quite pricey at 90DKK (£9.00) per person, but walking around the outside was totally free and great for a lovely little stroll with our mulled wines! 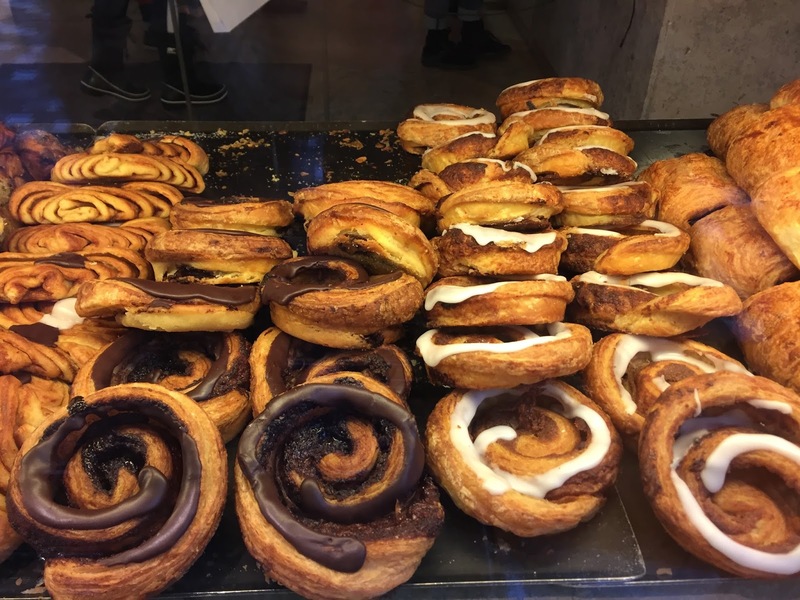 It wouldn't be a trip to Denmark without eating lots of danishes! We made sure to try as many as we could possibly fit in our bellies. 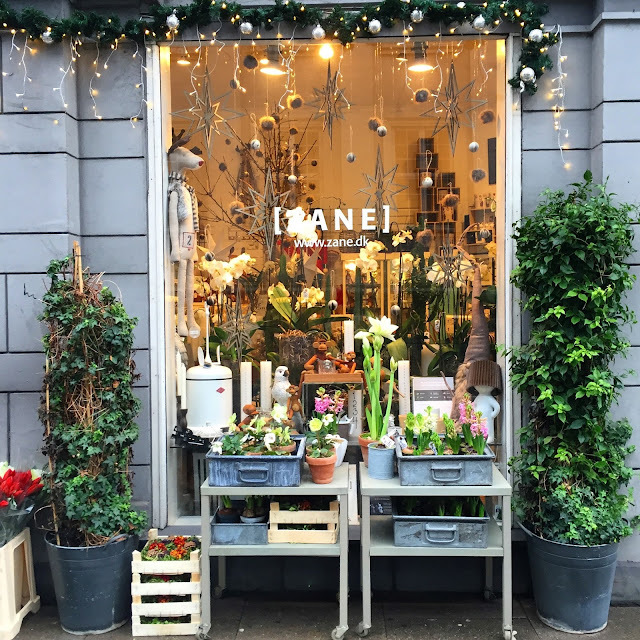 Danish shops are a plenty and they're packed with locals collecting orders. The danishes are all quite large in size and ridiculously filling so I didn't get to eat as much as I had hoped, but oh my goodness were they amazing!! I wish I had bought a bazillion home with me. My mouth is drooling at the thought. They were also pretty cheap too, at just around 10-20DKK per piece (£1-£2). Don't they look delicious?! Shopping in Copenhagen certainly isn't limited, and oh-my-goodness do they have the most incredible interior shops I've ever seen! And there was so so many of them! If I ever win the lottery, this would be must top go-to destination to shop for interiors. 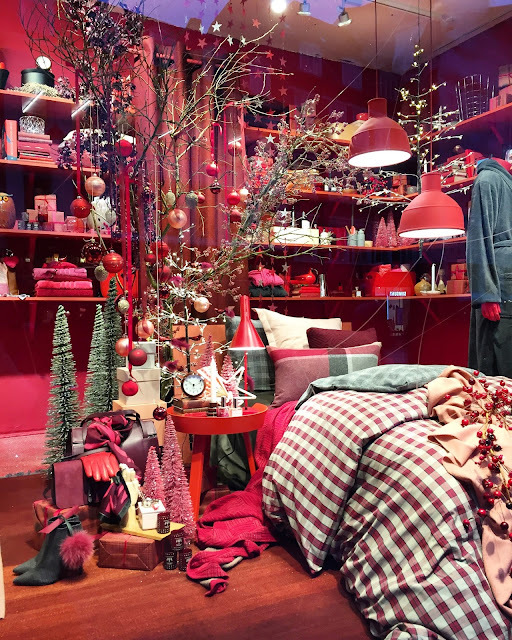 There was lot of scandi interior pieces as well... just so much amazingness! Sadly we didn't buy anything (not a single thing, boo!) since this trip was on a mega budget, but I so damn wish I could have bought everything. And I mean everything. These shops were CRAZY busy, it was how I imagine Christmas shopping in NYC. We left the city of Copenhagen around 7.30pm ready for our flight back to the UK. It was a pretty long day, but so so worth it! One thing that stood out about Copenhagen was that it really isn't a major touristy city. The tower we went up was virtually deserted and even at Nyhavn there was only a few small groups taking photographs along the canal, as opposed to the hundreds we've experienced at other European Cities. I think this made it feel like a very genuine city without too much of the gimmicky-ness. The one place we didn't visit, which I wish we had done - was Tivoli Gardens, an amusement park and garden. Sadly it costs 90DKK (£9.00) per person just to enter and then rides and other attractions are additional costs inside. At Christmas time the gardens are decorated to the max, which was the main thing I wanted to see there. We actually saw a little peak through the gates and it truly did look stunning, but we couldn't really justify the price. Maybe next time! Have you ever been to a European Christmas market? I'd love some recommendations for next year!